Atlantic Business Interiors has been providing satisfied clients with workplace solutions and office furniture in New Brunswick, Newfoundland, Nova Scotia and PEI since 1986. We offer a vast array of office furniture and equipment, and combine that with an in-depth knowledge of workplace layout and ergonomics to ensure you make the most of your office space and give your workforce the best work environment possible. 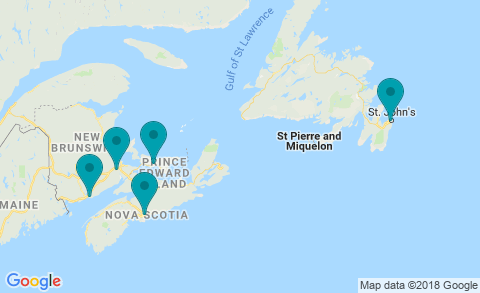 With offices in Halifax/Dartmouth Nova Scotia, Saint John and Moncton New Brunswick, St. John’s Newfoundland and Charlottetown PEI we have the reach to serve you wherever you are in Atlantic Canada. Regardless of your location, from Fredericton to Sydney to Corner Brook, we can get our products and our team on site when and where you need them.